For those looking for a little country in the suburbs, Briar Hill fits the bill. 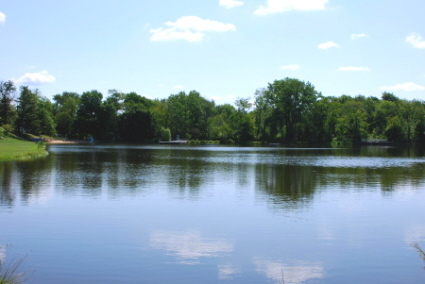 Briar Hill is a lake community consisting of older homes on large private wooded lots. The entire subdivision surrounds picturesque Briar Lake, a popular place for children to swim during the warm weather months. The location of Briar Hill is also ideal, as it is just minutes to the highway. It is also down the street from the South Chagrin Metropark. Many people like the North Solon location as well because it is easier to get to nearby suburbs such as Moreland Hills, Beachwood, Pepper Pike, and Orange. People who live in Briar Hill love that they can be part of a wonderful suburb like Solon yet also feel secluded. Overall, it is a very peaceful neighborhood and different than most others here in Solon, which is often the appeal to many home buyers.